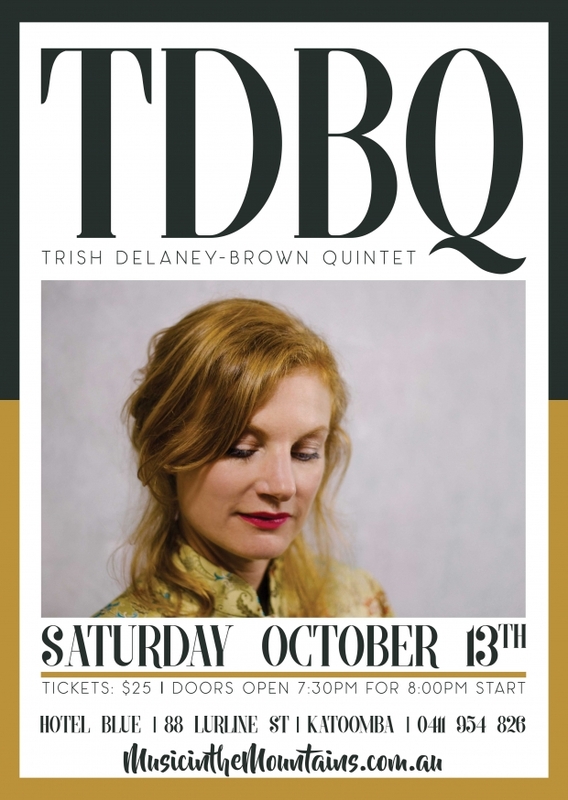 The Trish Delaney-Brown Quintet heads to the Mountains' home of jazz, Hotel Blue, to perform songs from their latest project, ABC Jazz Digital release ‘The Game’. Bringing Trish’s distinctive music to life are some of Sydney’s finest jazz musicians – Nic Cecire (drums); Greg Coffin (piano); Karl Dunnicliff (bass); and special guest Kim Lawson (Sax). It’s been 10 years since Trish hung up her ‘ Idea of North’ a cappella hat. During her 15 years with the Aria winning group, Trish’s songwriting was well utilized, and her efforts garnered a number of awards. Gospel Music Awards (2007); Jazz Songwriting (shortlisted) - APRA Development Awards (2009/2017). With her latest project, Trish has returned to what she loves best – a small, tight ensemble performing original material in which the voice functions both as a storyteller, and as an additional instrument, wordless and blended. Why not have dinner at Hotel Blue and enjoy some free live jazz before the show? Yuki & John will be performing in the Hotel Blue Lounge from 6:30pm with a full menu available to order from the bar. Why not come along early and enjoy the cabaret talents of one of Sydney's quirkiest and fun jazz couples, Yuki Kumagai and John Mackie. Meals will also be available in the Restaurant during the show, however note that last orders are taken at 8:30pm.